Immerse yourself in Thailand's rich heritage at the Siam Niramit show. Booking your tickets ahead guarantees your admission to this popular show, where you can sit back and watch traditional Thai dance and music. Explore the venue's grounds at your leisure, which include traditional Thai-style houses, games, and shops. 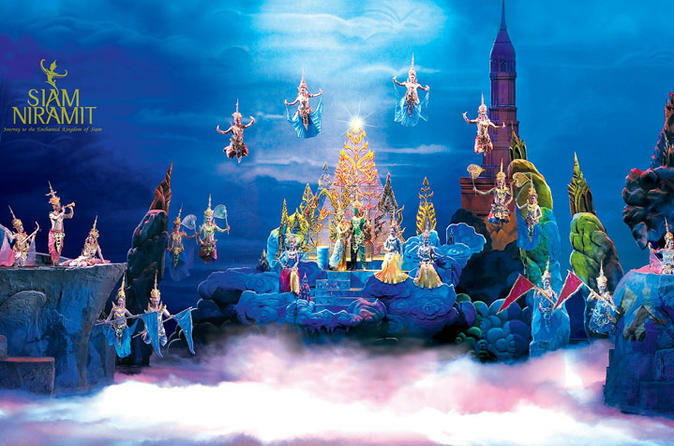 Opt to upgrade your experience with an authentic Thai dinner to accompany the show.